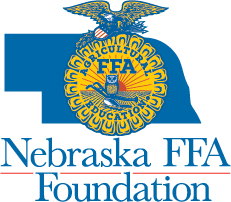 Karna Dam’s passion and support for FFA extends far beyond making a simple donation. It’s deeper. Possibly even genetic. “It just gets in your blood - it’s something that’s just always there,” Dam said about her family’s involvement in FFA for three generations. She was a member of the Blair FFA chapter, while husband Dwight was a Logan View FFA member. Both had parents in FFA chapters from Blair and Hooper and their two sons were very active in FFA. One even served as a state officer. 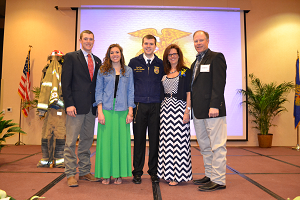 With a well-established foundation, Karna also had an FFA instructor who inspired her deeply. Karna’s FFA experiences and family history have led her to continue being involved in FFA for 30 years. She’s volunteered as a judge, registered students at convention and has even stepped a couple times as interim advisor for the Blair FFA Chapter. She’s made support of FFA a constant part of her life, and looks forward to each convention as much as she did when she was a member. “I have friends I made 35 years ago in FFA that I see once a year at the convention. I love that I still get to see them. We make it an annual thing,” she said.